Plot Outline: A kindly grandfather sits down with his ill grandson and reads him a story. The story is one that has been passed down from father to son for generations. As the grandfather reads the story, the action comes alive. 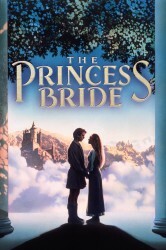 The story is a classic tale of love and adventure as the beautiful Buttercup, engaged to the odious Prince Humperdinck, is kidnapped and held against her will in order to start a war, It is up to Westley (her childhood beau, now returned as the Dread Pirate Roberts) to save her. On the way he meets a thief and his hired helpers, an accomplished swordsman and a huge, super strong giant, both of whom become Westley's companions in his quest.